Calculating appropriate volumes is critical to accuracy. In-bank soil, loose soil that has been excavated and fill soil that has been compacted, have different volumes and resulting load factors. 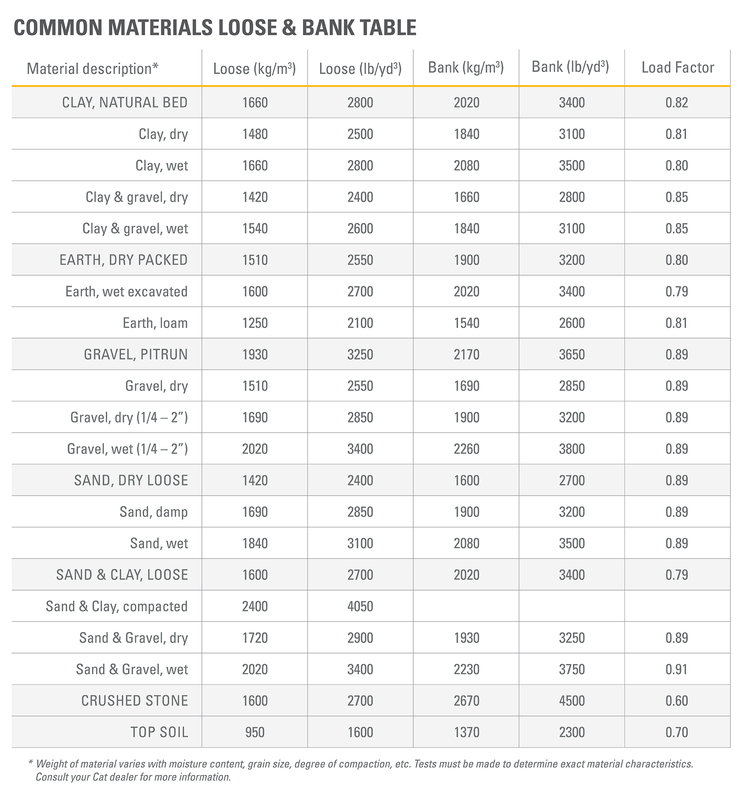 Bank Cubic Yards (BCY)/Bank Cubic Meters (BCM): Material as it lies in its natural bank state. Loose Cubic Yards (LCY)/Loose Cubic Meters (LCM): Material which has been excavated in some way and swelled as a result of the space that now exist between its elements. Compact Cubic Yards (CCY)/Compact Cubic Meters (CCM): Material which has been compacted and become more dense as a result.